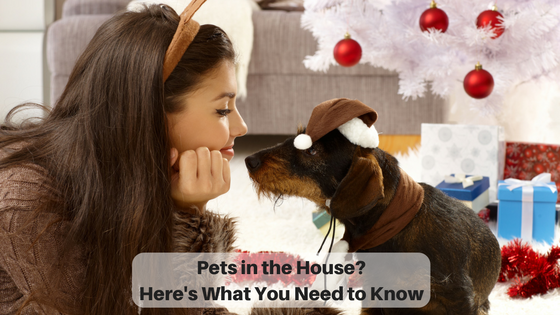 Whether your pets come in the house occasionally or live in the home 100% of the time, there are some things you should know. There WILL be a mess on your furniture or carpet at some point in time. Whether it’s mud or dirt tracked in from outside or, ahem, a urine, vomit, or the dreaded poop accident — if you have pets, that’s all part of being an animal lover and pet owner. Using paper towels, “pick up” any solid material right away and discard appropriately. Then, blot (and we mean blot, don’t scrub) as much as possible. You have got to get the liquid material reduced as much as you can before you even attempt to apply any type of cleaner. Try the old baking soda-white vinegar remedy (be sure to test in an inconspicuous area first whenever you use any type of cleaning solution). Put two equal parts of white vinegar and warm water in a spray bottle and add 2-4 tablespoons of baking soda. For example, for two cups each of water and vinegar, add 4 tablespoons of baking soda. For one cup each of water and vinegar, add 2 tablespoons of baking soda. Spray the area liberally. Let it sit at least 5 minutes and blot dry with a clean towel. When the area is dry completely, run the vacuum over it. If you’ve blotted up the majority of the mess before applying a cleaning solution, instead of #4 above, you might try sprinkling dry baking soda on the area and letting it sit for a while. Then spray the water/white vinegar mixture on top of it and proceed with blotting. If you need professional help, we are always just a phone call away: (513) 827-6150. We at Cincinnati Maintenance are Thankful….for YOU! It’s hard to believe it’s already time for Thanksgiving! We at Cincinnati Maintenance have a lot to be thankful for….and we are especially thankful for YOU, our customers! We have been blessed with a wonderful set of loyal customers and are thankful for the new ones we are meeting every day. We humbly thank you and look forward to serving you for years to come. Happy Thanksgiving, everyone! 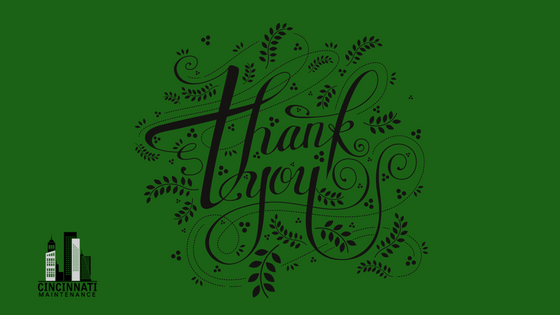 https://cincinnatimaintenance.com/wp-content/uploads/2016/11/Thank-you.png 315 560 lfultz https://cincinnatimaintenance.com/wp-content/uploads/2018/03/CincinnatiMaintenance_Logorev2-300x84.png lfultz2016-11-16 23:57:062016-11-16 23:57:06We at Cincinnati Maintenance are Thankful....for YOU! 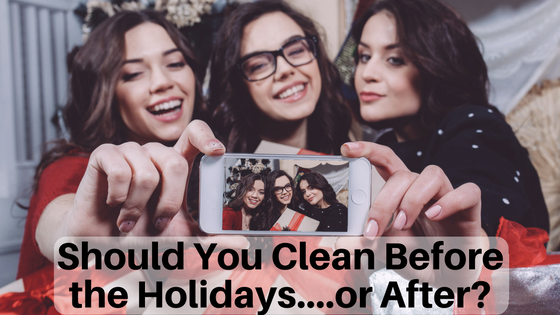 Should You Clean Before the Holidays….or After? 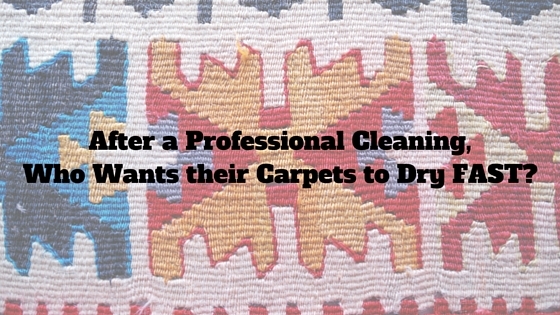 Have you ever wondered, should I have my carpet and upholstery professionally cleaned before the holidays….or after? Well, that depends. First of all, are you having guests in for the holidays? If you have noticeable stains on the carpet…..it would be nice to clean those before your guests arrive. If you have pets who sometimes have accidents, a professional cleaning can get rid of stains, odors, and even keep your pet from revisiting that old familiar spot – because they no longer smell where they’ve “been” before. Are your guests going to be bunking on the couch? Yep, go ahead and get that cleaned and fresh-smelling, too. BUT……if your carpets, rugs and furniture are in good, clean shape, there ARE reasons to wait until AFTER the holidays to have a professional cleaning. For example, if your guests are bringing small children, you will inevitably have extra spills. Are they bringing pets, as well? Be prepared for an accident or two. Or, if you’re having the biggest party of the year at your house…..maybe, just maybe, waiting until after your holiday party is the best time for a profesional to get things back to normal again. Things to think about….you want to get the best bang for your buck. https://cincinnatimaintenance.com/wp-content/uploads/2016/11/Should-You-Clean-Before-the-Holidays....or-After-.png 315 560 lfultz https://cincinnatimaintenance.com/wp-content/uploads/2018/03/CincinnatiMaintenance_Logorev2-300x84.png lfultz2016-11-11 23:39:592016-11-11 23:39:59Should You Clean Before the Holidays....or After? Oh, man! A coffee spill on your carpet. Great way to start the day, huh? 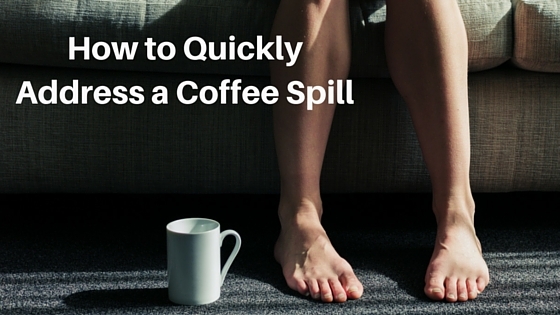 If the coffee stain is on a light-colored carpet and there is still a little color, you can MIST 3% hydrogen peroxide over the spot and blot. And, we mean mist only. You cannot use too much because it is a bleaching agent. As always, feel free to contact Cincinnati Maintenance to discuss your carpet and upholstery cleaning needs, schedule an appointment, or receive a free estimate. Have your old carpet removed and properly disposed of – if possible, recycle! There is a great website for Carpet America Recovery Effort (CARE) that can assist you in finding proper disposal means in your area. Decide on who will do your installation. 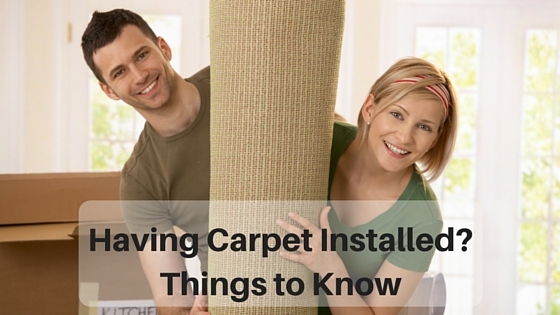 Most likely, where you purchase your new carpet provides installation or recommedations for installers. Be sure to look for professional installers who are certified and who follow professional protocals for carpet installation. Be sure to keep fresh air moving after installation. Ventilate the area well where your new carpet has been installed by opening windows and running fans or the fan of your AC. The new carpet “smell” will dissipate quickly with proper ventilation. Care for your new carpet! Always vacuum your carpet on a regular timetable, and Cincinnati Maintenance‘s recommendation is to have it deep cleaned by a professional a minimum of once per year (twice is better if you have children and/or pets). Your home’s indoor air quality is important. Especially if you or someone in your family have allergies or asthma. Some people believe that having zero carpet reduces allergies in the home. That may or may not be true, as other experts have indicated that carpet increases air quality because it traps known allergens and keeps them out of your home’s air space. 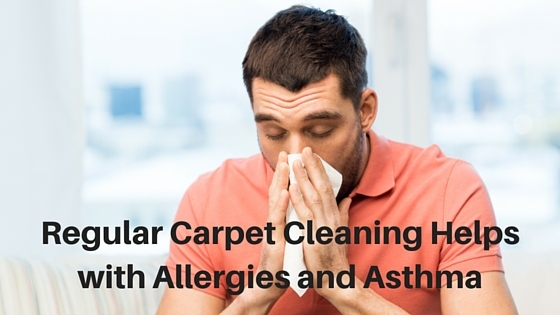 Whichever is actually true in your home and for your family, if you do have carpet, keeping it clean is the best way to reduce the annoying sneezing, runny nose, itchy eyes, etc., of allergies and may even help reduce asthma issues as well. The first step is yours: be sure to regularly vacuum your carpets. The majority of loose, dry soil and other materials can be removed with regular vacuuming. Your next step is regular deep carpet cleaning. As we indicated in a blog post last year, a good rule of thumb for homes with pets and families is to have your carpets cleaned every 6-12 months. Keeping your home’s air quality at its best depends on a lot of factors. Cleaning your carpets regularly is a great step to improved air and hopefully less sneezing! So, let’s talk about “wicking.” On Monday we blogged about low moisture carpet cleaning. Cincinnati Maintenance is a big believer in this type of carpet cleaning which is also called encapsulation. You can see from that blog that we usually adhere to this type of cleaning because it dries fast, is non-toxic, and does not create a large “footprint” in the enviroment. And, you don’t want it. Wicking, that is. Have you ever had your carpets cleaned – particularly a specific stain – and it looks great but in a few days, that stubborn stain mysteriously shows back up? Frustrating, huh? Well, THAT’S wicking. Wicking is caused when a stain is created – usually from a spill – and it has penetrated deep into the carpet. Then, when the carpet cleaned – commonly by a “wet” (water) extraction method – the part of the stain that has deeply penetrated the carpet is not completely removed. 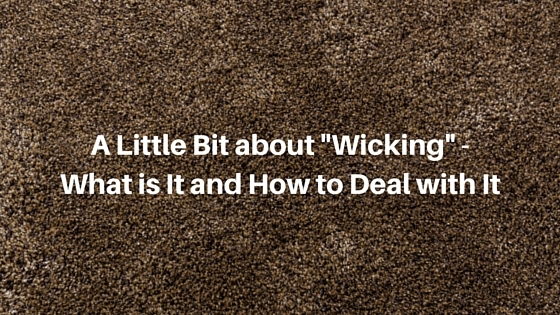 After this type of cleaning is performed and the carpet has dried, the residual portion of the soiled area “wicks” its way to the surface of the carpet fibers. Then, BAM! The carpet looks bad again because the stain has creeped back up to rear its ugly head. With Cincinnati Maintenance’s green, low moisture technology, dry time is often only 45-90 minutes and also prevents that nasty wicking or reappearance of stubborn stains. After you have a professional come out to clean your carpets, do you want the carpets to dry quickly so you can get back to your normal household or business routine? Well, sure you do! Cincinnati Maintenance knows that low moisture cleaning – called encapsulation – is the most advanced way to clean and maintain carpet in your home or business. Low moisture technique solves many problems commonly associated with carpet cleaning. Among these are waiting hours and hours for the cleaned area to dry, possible exposure to unwanted or unsafe chemicals, and – for the environmentally conscious – having a tremendous water-wasting footprint. The great news is, with encapsulation, carpets dry fast! Really fast. Homeowners are happy because “regular life” carries on and commercial clients are happy because their place of business has very few interuptions and no fear of a slip-and-fall hazard. And, guess what? Most all encapsulation cleaners are PH balanced. Not only are they safe for all carpet fibers, but they do not require the application of rinsing agents. 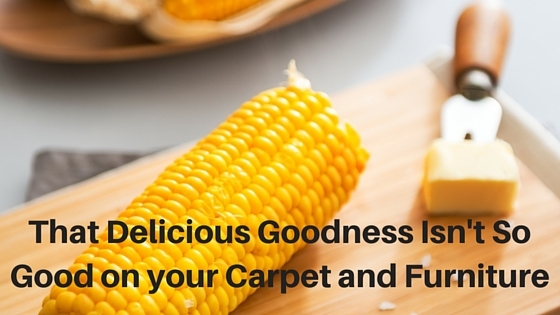 The carpet is fresh and there is no sticky residue that attracts unwanted soil. Lastly, Cincinnati Maintenance continues to be on the cutting edge of green cleaning technologies. Our low moisture cleaning is enviromentally responsible by cutting out waste of thousands of gallons of water, as well as being safe, effective, and clean without causing environmental hazards or exposing anyone to toxicity. https://cincinnatimaintenance.com/wp-content/uploads/2016/05/after-a-professional-cleaning.jpg 315 560 lfultz https://cincinnatimaintenance.com/wp-content/uploads/2018/03/CincinnatiMaintenance_Logorev2-300x84.png lfultz2016-05-09 21:45:422016-05-09 21:45:42After a Professional Cleaning, Who Wants their Carpets to Dry FAST?